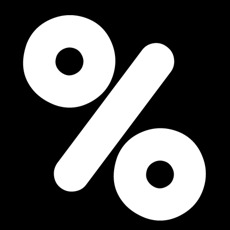 Nitrio Debt 2 Income Calculator, This debt to income ratio app has been created to help you calculate how much debt you can afford. Use this app to determine the ratio between your current income and current debt. You can use this debt-to-income ratio calculator, also referred to as a DTI calculator, to figure out if you might be at risk of carrying too much debt or if you qualify for a loan of a given size. In general, lenders apply certain rules when evaluating someone that has applied for credit. The calculator performs both front-end, as well as back-end debt-to-income calculations. Percentage of monthly income that is spent on debt payments, including mortgages, student loans, auto loans, minimum credit card payments and child support. For example: Peter earn $10,000 a month. His total debt payments are $3,800 a month. His debt-to-income ratio is 38 percent. A standard rule for lenders is that your monthly housing payment (principal, interest, taxes and insurance) should not take up more than 28 percent of your income before taxes. This debt-to-income ratio is called the "housing ratio" or "front-end ratio." Lenders also calculate the "back-end ratio." It includes all debt commitments, including car loan, student loan and minimum credit card payments, together with your house payment. Lenders prefer a back-end ratio of 36 percent or less. Those recommended ratios (28 percent front-end and 36 percent back-end) aren't ironclad. In many cases, lenders approve applicants with higher debt-to-income ratios. Under the "qualified mortgage rule," federal regulations give legal protection to well-documented mortgages with back-end ratios (all debts, including house payments) up to 43 percent. "That's been one of the bigger drivers (of affordability) because that is basically drawing a box around what's a qualified mortgage," says Tim Skinner, home lending sales and service manager for Huntington Bank in Columbus, Ohio. "A large portion of the lending community has decided to stay in that box." If you have a good credit history, you are likely to get a lower interest rate, which means you could take on a bigger loan. The best rates tend to go to borrowers with credit scores of 740 or higher.